We have a customer who wants a custom web part similar to the Summary Links web part – that is, editors can add links in this web part (along with some other metadata). For various reasons, a ListView web part and a Links library weren’t what they were after. Now, the Summary Links web part seems to me to be a bit unusual. Most web parts access and use data stored elsewhere – lists, web services, databases, etc.. However, the Summary Links web part stores it’s data internally. How does it do that, and can I do the same? There is actually quite a lot of code in the Summary Links web part, but this seemed to be the crux of it. 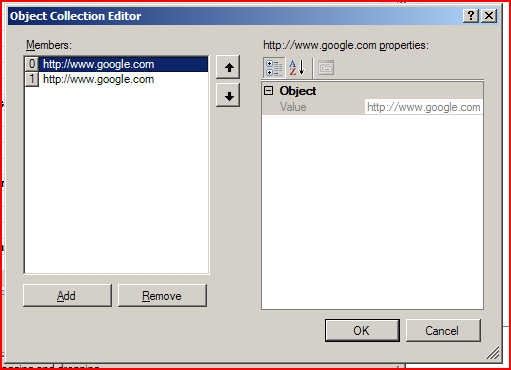 It shows a hidden web part property at Shared scope. The ManagedLinks property provides access to the managedLinks private variable (note the capitalization – sucky coding practice, btw). That private variable is an ArrayList. I ditched some of the attributes shown in Reflector on the basis that I didn’t have clue what they were doing! Great. 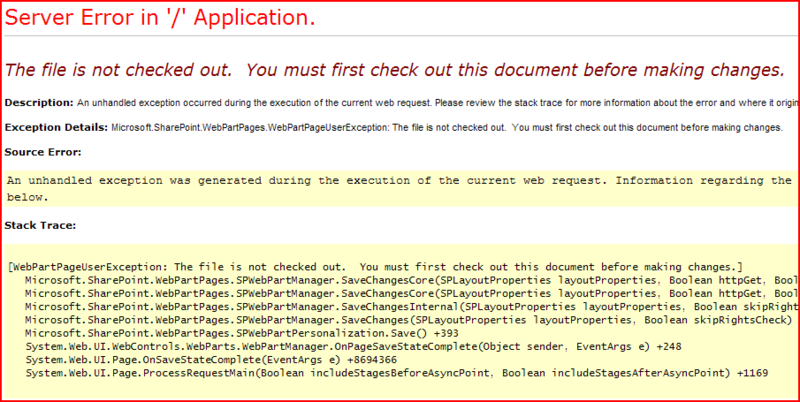 Finally I published my page with my web part – and got the error “The file is not checked out. You must first check out this document before making changes”. WTF? It took me a moment to realise – we were trying to update the web part (by calling SetPersonalizationDirty() ), and therefore update the page, but it wasn’t checked out! The error is quite right! 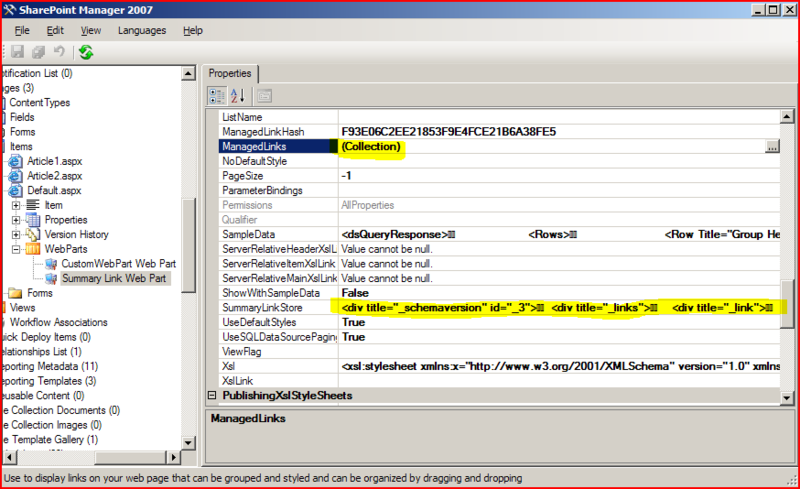 I also now understood another reason why the Summary Links web part forces you to go to ‘Edit’ mode to add/edit links. It makes sense really. I’d added a bit of debug information about the ArrayList at the top. Naturally, it’s not a very useful web part, but it proves the technique and concept – storing objects in the ArrayList – and replicates how the Summary Links Web Part works. Now I just have to repeat this but to do something a bit more useful! 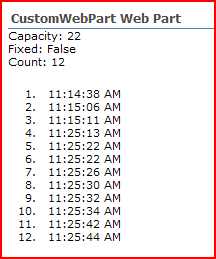 Hi, I need to show the custom listview count in summary link webpart. is it possible? can u explain pls..